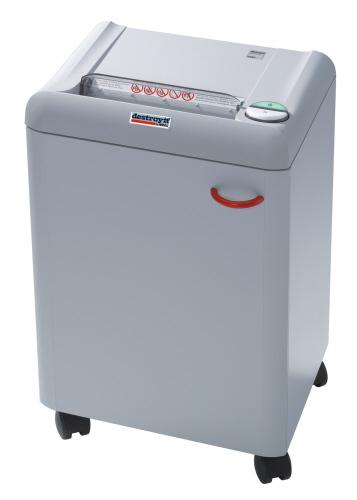 Destroyit Office Paper Shredders - by Ideal-MBM are workhorse office equipment designed for performance and style. 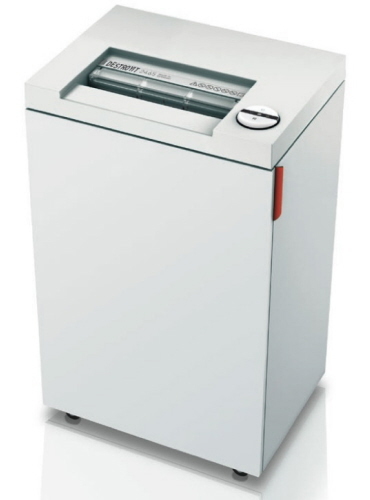 Intended to shred from 100 to 300 & 500 to 2,000 sheets per day, these models can be used for offices with 1 to 3 & 5 to 10 people for low to mid volume document destruction needs. Destroyit has long been known for quality, performance and durability in the industry. When comparing these fellows shredders, to other brands on the market, there is a clear difference. Built using laminated wood cabinets, solid metal cutting shafts and designed for commercial business use. The internal motor and mechanical components are engineered to with-stand the heavy use that comes with multi-user office locations. 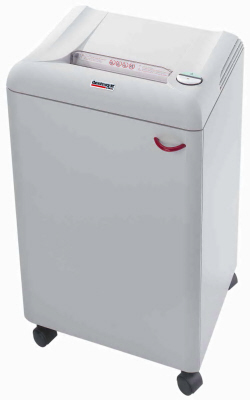 Unlike other store bought counterparts on the market, which are primarily constructed using low grade plastic gears, smaller motors and thin plastic molded cases or cabinets - these paper shredders will not break down after only a few months of use. They also have a safety protection system that stops on paper jams/overloads, and auto on / reverse functions designed to protect the internal components. The larger capacity cabinet allows you to store waste shred with-out having to continually empty the waste bin. This is a necessary feature to consider when choosing a model for your office. Time and time again OREweb.ca® has been contacted by our customers to discuss needs when choosing new equipment - and capacity is always at the top of the list when we recommend a model. The other factors to consider are shred size/security type and speed. Both cross cut and strip cut have specific uses. Cross cut (cc) is intended for a more secure destruction, where Strip cut is intended for large volumes and speed. Most business with confidential information these days weigh in more on the security size of the shred, rather than speed. When in doubt, OREweb.ca® is here to help with your decision though! Available models in this line of Destroyit's are: the 2360s / 2360cc and the 2503s / 2503cc. Destroyit 2503sc Strip Cut Shredders are Centralized Office shredders and are designed for low security, bulk destruction of paper, smart cards, credit / debit cards and Optical Media including CD's / DVD's / Blu-Ray disks. This model is recommended for low security needs for MultiMedia shredding in offices with 5-10 employees.